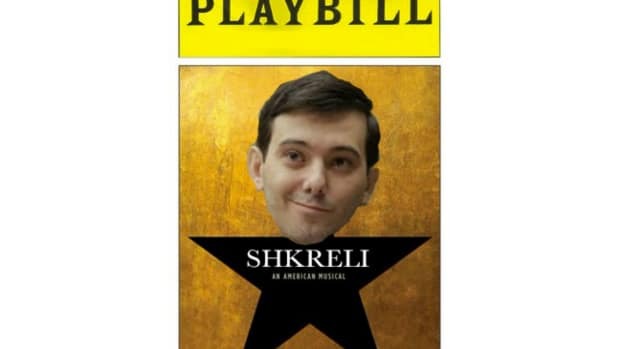 Last week, hedge fund manager turned pharmaceutical CEO turned enfant terrible Martin Shrekli announced that he had approximately 20 positions available for anyone interested in joining him at Turing Pharmaceuticals, the firm made famous by Shrekli&apos;s decision to hike the price of life-saving drug from $13.50 to $750 and then respond, basically, "Haters gonna hate" when theentire universeasked howhe sleeps at night. If you&apos;re not currently looking to make a career change but want to help, guy&apos;s obviously going to need a rap name. You should feel free, nay, encouraged to share your ideas at this time.